A custom-made, hydraulically powered propulsion system creates a laminar current of up to 5,000 gallons per minute (GPM) that is wider than your body and deeper than your stroke. 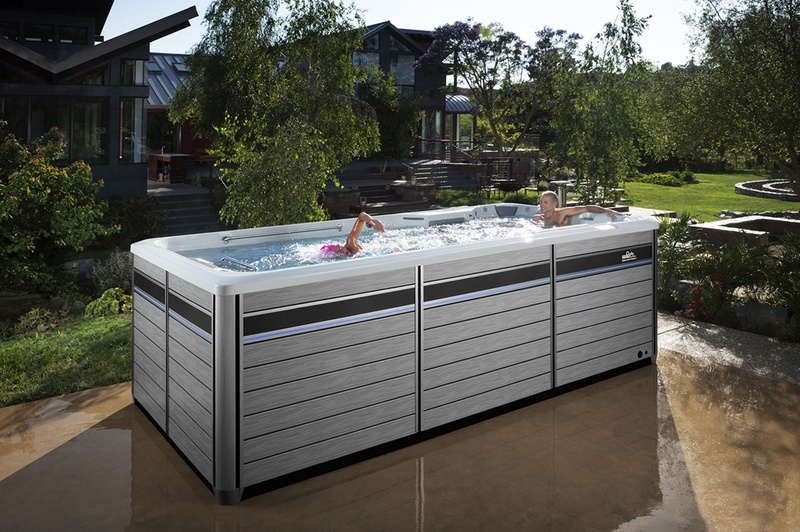 Multiple conditioning grills smooth and redirect the water, resulting in a swim current that is free of turbulence. Swim Machine flow speed ranges from 5:00 to 1:08 minutes per 100 yards and can be easily adjusted for precise pace selection. The swim machine and underwater treadmill are each managed by individual remote controls that allow you to increase or decrease speed on the fly. The swim machine flow ranges from 5:00 to 1:08 minutes per 100 yards, and can be easily adjusted for precise pace selection. The treadmill has a speed range of 0 to 5.5 MPH. To conserve heat and energy, we’ve insulated all Endless Pools Fitness Systems with Expanded Polystyrene (EPS) foam with a highly reflective film barrier. The EPS foam is attached to the bottom frame and to the back of the cabinetry, while the film barrier reflects naturally generated thermal heat from inside to outside the system. The combination of the EPS foam and reflective film, along with our cover, have enabled all fitness and exercise systems to achieve certification to California Energy Commission (CEC) and APSP 14 National Standards. To improve energy efficiency even further, we are currently in development of an aftermarket insulation kit that will help further limit monthly consumption costs. 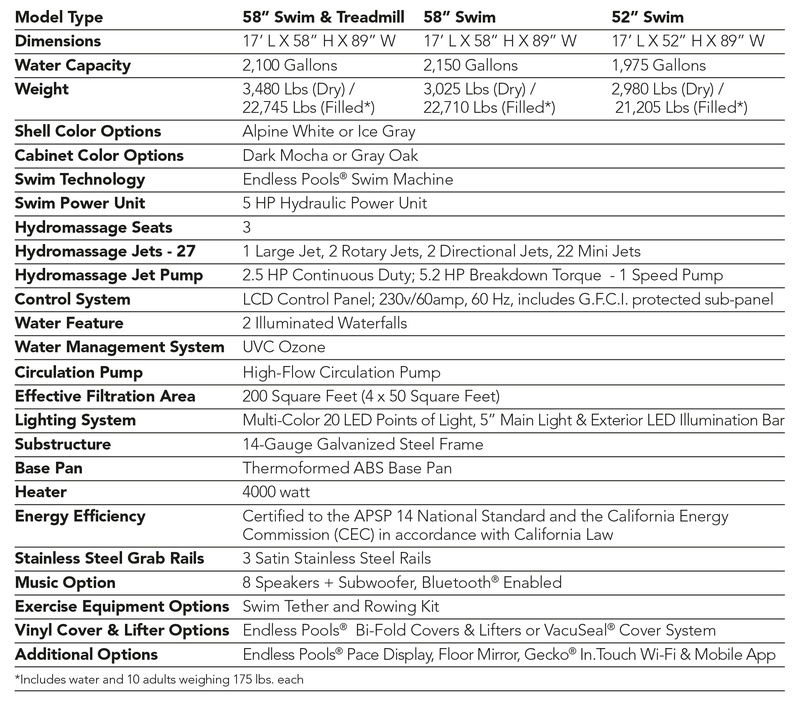 E700 • Aquatic Fitness at its best with underwater treadmill. 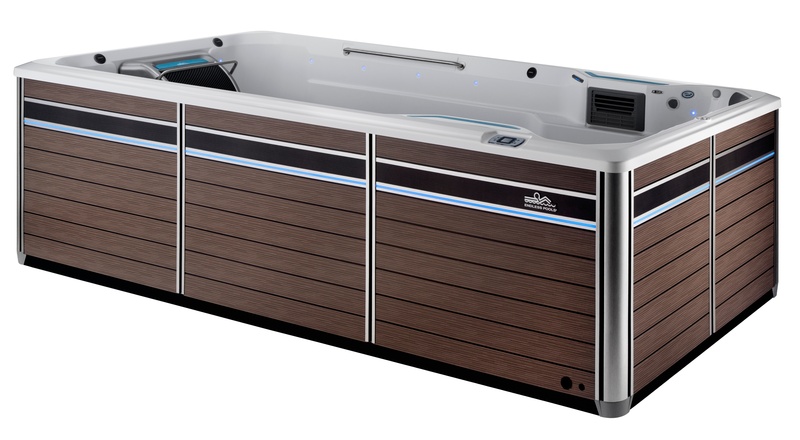 The E700 is newly redesigned for optimal equatic fitness and combines beautifully functional design with the innovative Endless Pools Swim Machine and optional treadmill for a variety of fitness options. The versatile E700 is built to provide the ultimate swim and exercise experience for professional athlete to novice swimmer. 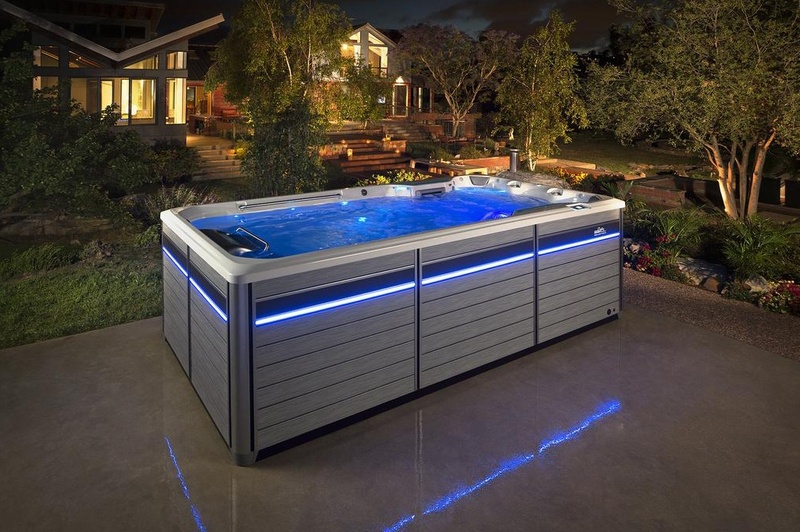 Enjoy the fitness system swim spa in the comfort and convenience of your own backyard.